THE COMMANDER CUT – Our classic custom cut from one of our professional stylists. Starts off with a quick personal consultation, and includes a clean and accurate haircut, free shampooing, scalp massage, and hot-towel treatment. We finish it all off with a style and powder at the neck. HERO CUT – For all of those active duty military, police, fire, and EMS, we salute you and offer our classic Commander Cut at a special reduced price. 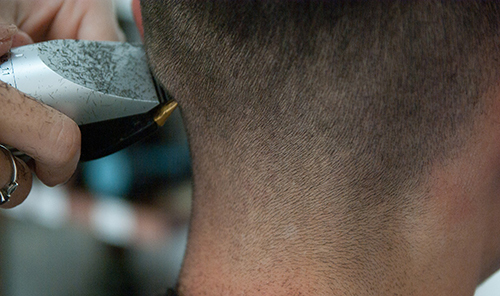 ROTC CUT – For all of those between the ages of 13-18, we offer a basic cut for a 20% discount. Shampoo upon request. THE CADET CUT – For all of those grade school clients below the age of 13, we offer a basic cut for a 40% discount. Shampoo upon request. THE CLIPPER CUT – A nice, clean, and professional looking all over clipper cut, with or without shampoo for a 20% discount. MONTHLY SPECIAL – Schedule another appointment within 4 weeks and receive a 20% discount. FACIAL SHAVE – A 30 min. professional straight razor shave with hot lather and a relaxing facial massage. Combine with your haircut for a 20% discount. 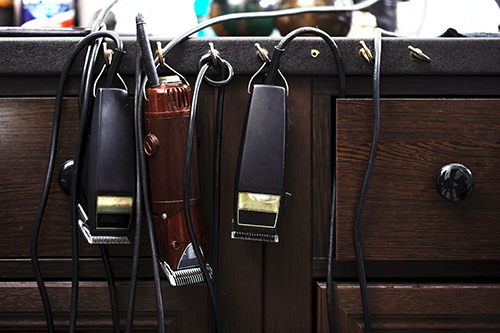 BEARD TRIMS – Keep that beard looking professional with a beard trim from one of our trained stylists. We offer stand alone beard trims or add one on to your haircut. LOSE THE GREY – Takes years off of your look in a matter of 30 minutes. We have natural looking colors designed to blend away that grey. 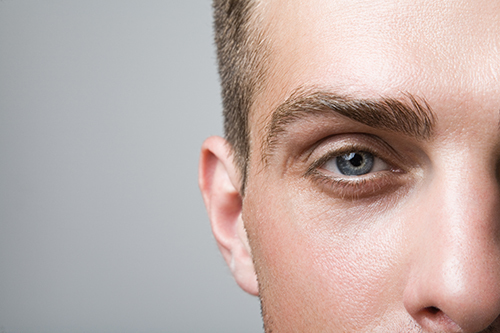 WAXING – We offer back, nose, brow, and unibrow waxing to help maintain that clean look for longer. 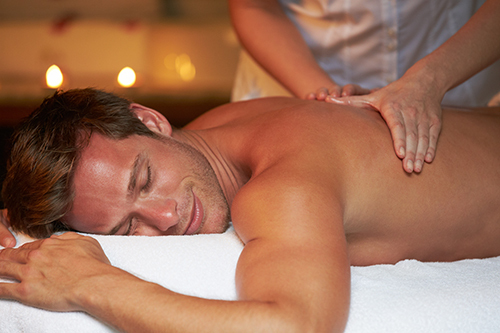 RELAXING MASSAGE – Take your relaxation to the next level with a Swedish, hot rock, or deep tissue massage.